It’s no mystery that saltwater is where the big ones are. But what if you don’t have access to a boat that’s suitable for motoring miles out into the blue water? This is why inshore fishing has a lot of appeal. The lessened equipment requirement alone may be what sets the hook, so to speak, for many anglers, which brings us to the question of the ideal setup for success inshore. The inherently calmer waters that you’ll find inshore dictate a lot of what you’re going to need in a tackle, more specifically your rod setup. With all that in mind, let's take a look at 5 of the best inshore spinning rods on the market today. The St. Croix Mojo is a definite winner in my book, and in the books of countless inshore fishermen. With a middle of the road price-point, and top of the line quality materials and craftsmanship, there isn’t a way to go wrong here. And St. Croix backs up their product with a five-year warranty. The Mojo is available in both 7’ and 7’6” versions and the premium quality SCii Graphite gives this rod the responsiveness you need to detect the most finicky strikes. This rod contains Batson Forecast® hard aluminum-oxide guides with 316 stainless-steel frames for dramatically improved corrosion resistance compared to 304 stainless-steel frames while the Fuji® DPS reel seat/black hoods lock your reel down for big time fish fighting. Split grip premium cork handle fits the hand well. The rod power is Medium Light -- Heavy. This is a measure of how much pressure it takes to flex the rod, which influences the line and lure weight a given rod is best suited too. In terms of durability and portability, this rod has a great reputation of living up to the rigors of fishing saltwater day in and day out. What this one piece rod gains in durability, it loses in portability though, so just keep that in mind. The Entsport 2-Piece Portable Inshore Spinning Rod is a highly economical option that makes this a real dandy. Although it is a bit heavier than its one piece competitors, it is a breeze to take with you wherever you’re headed, and it’s sturdy character will hold up to the toughest conditions. 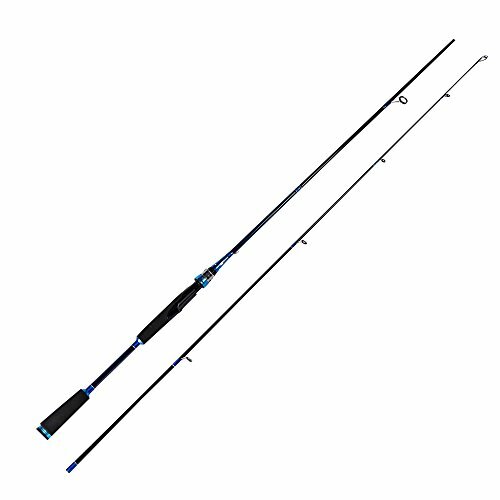 The Entsport 2 is a 2-piece travel design, 7’ medium heavy graphite spinning fishing rod. Its strong and structurally enhanced solid carbon fiber construction, maximizes strength while maintaining sensitivity. Its light weight allows anglers to spend long days on the water with minimum fatigue. This rod contains 6+1 stainless steel guides with ceramic inserts, perfectly spaced for virtually friction-free line flow and maximum casting performance and sensitivity, adopt “K-R” and “FINESSE” guide series. The ergonomically designed reel seats with corrosion resistant hoods have been "opened up" to allow direct contact with your fingers. The high density EVA split grip handle gives greater sensitivity and durability, while adding to your control and fishing comfort, allowing you to spend long days on the water with minimum fatigue. The rod power is Light -- Heavy with tons of range within this family of rods, while the rod action is Moderate Fast -- Fast, again, a good range of options to best suit your needs. As far as durability goes, it’s a bit on the heavy end of the scale for the rods described here, but very rugged and durable. As far as portability goes, it’s an obvious winner. The 2-piece rod is very easy to transport; and even more so with the included carry bag. This is a tremendous value. Berkley is a household name for a reason -- top quality stuff at a reasonable price. There is a real range of rods within this family of products, which gives you the opportunity to really dial in on a rod that best meets your individual needs. 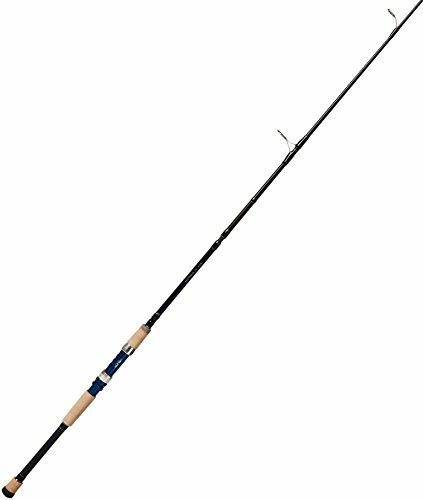 The Berkley’s inshore spinning rod is available from 6’6” to 7’6”. The all-new Berkley inshore rod series is unmatched in its class for for its strength and sensitivity. The series is designed with components built for the tough saltwater environment. Constructed using 100 percent carbon fiber (24-ton-modulus graphite) blank. The rod contains 9 (including tip) stainless steel, corrosion resistant Fuji guides with ceramic inserts, with a reel seat that’s ergonomically designed to reduce fatigue for all day comfort. The handle grip material is rubberized and is soft but grippy in the hands. The Berkley is Fast action rod, bending more or less at the tip of the rod, which is better suited to the precision of a spinning outfit. 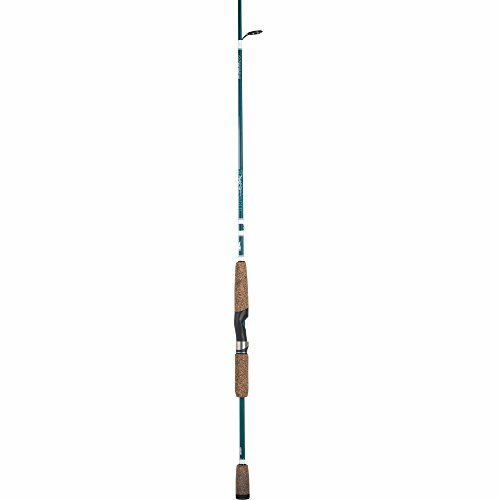 The Berkley has rod power of Medium Light -- Medium Heavy. The “power” of the rod refers to how much pressure it takes to flex the rod. To select a rod power that will perform best for you, simply narrow your choices to rods designed to cast the weight of lures – and sizes of lines – you’ll fish with most often. The Berkley delivers to the dedicated inshore angler durability and actions for all inshore species. The Berkley Inshore rod is unmatched in its class for strength and sensitivity. In terms of portability it’s not ideal for travel as a one piece rod, but with 6’6” versions for the precision caster, it’s certainly not the least portable option either. The Penn Battalion Inshore Spinning Rods are some of the best around. They feature fast actions for precise spincasting and they have enough backbone to handle whatever you hook up with. 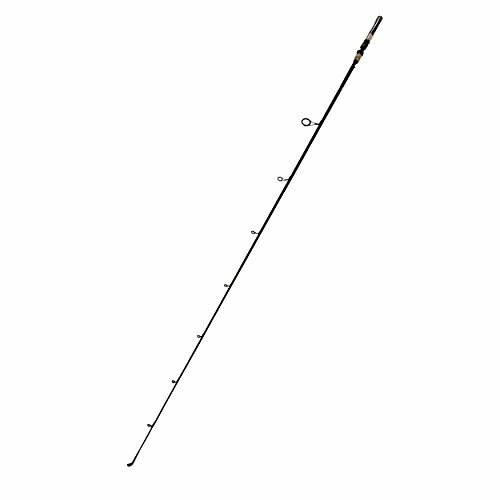 The Battalion Inshore Spinning Rod is available from 6’6” to 8’0””. They offer action, balance, and durability for all types of inshore and nearshore saltwater fishing. The Battalion line is constructed from 30 ton 100% graphite rod blanks for strength and incredible sensitivity. Anglers will appreciate the lightweight feel of this rod. To optimize casting distances, spinning models feature Fuji SV or Y stainless-steel frames with aluminum-oxide inserts that provide a hard surface that works well with braided and monofilament lines. Extra-light, light, medium-light and medium rods feature premium split and full-cork grips with a Fuji ACS soft touch reel seat. All models of Battalion Inshore Spinning Rods with Handle Style "E" have rubber gimbals that are soft, yet durable, and can ease the body pain that traditional metal gimbals create while fighting big fish, and they won't scratch your boat. The Battalion has Extra Light -- Extra Heavy rod action, perfect to match any specific inshore or nearshore saltwater fishing need. The rod power is Extra Light -- Extra Heavy -- couldn’t be a greater range, which means you can tailor your tackle to your exact locale and goal. In terms of durability, the graphite core and aluminum guides make this a particularly rugged rod for the demanding nature of inshore fishing. The rod is reasonably portable but bear in mind it is a 1-piece rod. Another excellent value for its middle of the road price point. The Okuma Nomad Xpress Inshore Rod is a travelling fisherman’s dream. It’s tough enough to fight the most monstrous fish, portable enough to reasonably pack on any airline and incredibly responsive and balanced in the hand. The Nomad Xpress is a 7’ 3-piece rod of Graphite (Carbon Fibre) blank construction. The Nomad series of rods utilize a European Spigot Ferrule connection for joining the pieces of the rod. This type of connection offers a feel more similar to a 1-piece rod, because the ferrule joints go further into the blank. It also offers improved strength and durability. It’s important to note that the blank that is being inserted in most cases will not go completely go inside the joining piece. This is completely normal and will have no effect on the rods performance. This rod contains 6 aluminum oxide guides + tip resist corrosion. The pipe style reel seat and rubberized gimbal provides a secure mount for even the roughest conditions. The Nomad Xpress rod has rugged, split EVA grips that fits the hand well, providing all day comfort without roughing up your hands. This rod is lightweight with a Medium-Heavy action and nice tip sensitivity. Perfect to suit any inshore/nearshore fishing gig. The rod power is Medium Light -- Heavy, which gives a pretty good range to tailor weight of lures and sizes of lines to your exact fishing goals. The Nomad Xpress is a durable solid rod of Graphite construction. This rod has to take best in class of the rods described here for portability. The 3-piece design, paired with the included canvas waterproof carrying case with shoulder strap, is perfect for the travelling angler.